Alejandro Maher practices in the areas of corporate, securities, real estate and intellectual property law. Prior to joining Frigon Maher & Stern, Mr. Maher spent 12 years working at prominent New York and California-based law firms. 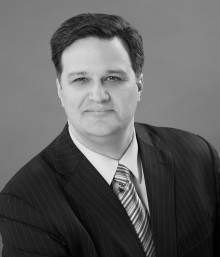 Mr. Maher has represented numerous companies in a diverse range of industries. He currently represents more than 50 private companies in the U.S. and internationally. Mr. Maher’s practice includes representing emerging growth and small and mid-sized companies in public and private offerings of equity and debt securities, M&A deals, venture capital financings, technology transactions and executive compensation matters. He has extensive experience working with individual investors, entrepreneurs and emerging growth companies, often getting involved at the initial stage of the business and helping guide the founders through the formative early stages of the company’s development. He also advises boards of directors and senior management on corporate governance and fiduciary duties, SEC disclosure requirements, board composition and procedures, stock exchange requirements and regulatory compliance. Additionally, Mr. Maher is experienced in structuring and drafting numerous types of commercial contracts. Mr. Maher’s capital markets and securities practice includes representing companies in private and public offerings of equity and debt securities, secondary offerings, tender and exchange offers and consent solicitations. His practice also includes the preparation of periodic and current SEC reports, proxy solicitations and matters related to stockholder meetings. Mr. Maher also advises clients with respect to real estate matters, including acquisitions and divestitures, commercial leasing and structured finance transactions, and represents Latin American and European companies in cross-border transactions. Mr. Maher has represented companies and entrepreneurs in numerous matters. The following are representative transactions in which Mr. Maher served as counsel. Lehman Brothers in an offering by certain selling stockholders of 6 million shares of EnerSys. $200 million offering of senior notes by a Brazilian insurance company.